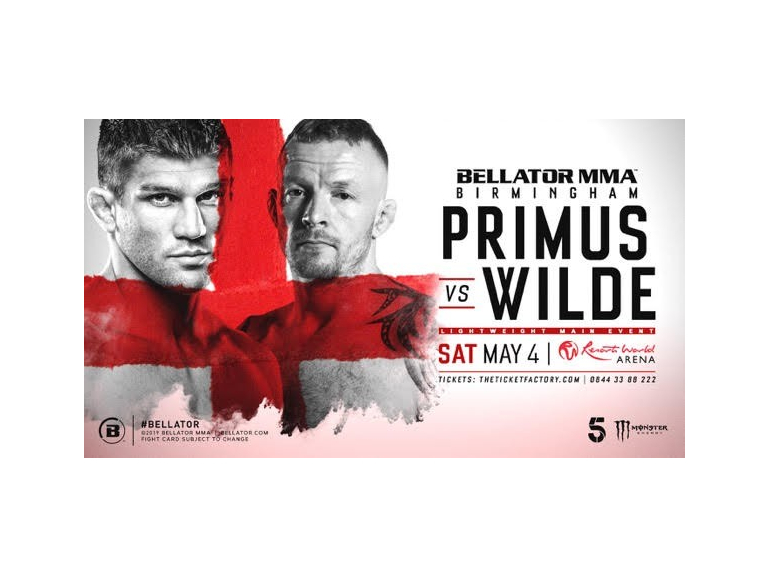 Leading mixed martial arts promoter Bellator MMA's next event in the European Fight Series will take place in Birmingham on Saturday, May 4 at Resorts World Arena featuring Cannock local Tim Wilde. The event will be headlined by an exciting lightweight bout between former Bellator world champion Brent Primus (8-1) and Tim “The Experiment” Wilde (12-3) and will be the second instalment of six scheduled Bellator European Fight Series events set to take place throughout the UK and Europe in 2019. American fighter Primus (8-1), who fights out of Eugene, Oregon, has a near-perfect record. Making his professional MMA debut in September 2010, Primus enjoyed an eight-fight undefeated streak, including six successive wins under Bellator and earning the world title with a win over current titleholder Michael Chandler. Primus is aiming to get back on track and rediscover the formidable skill which saw him make such an impressive start to his career. Wilde (12-3) meanwhile, who fights out of Cannock, will make his Bellator debut on the night and will be looking to put on a show in front of an expectant Birmingham crowd. Wilde who joins Bellator MMA from Golden Ticket Fight Promotions, is currently enjoying a three-fight win streak and will be looking to make that four on the bounce when he steps into the Bellator cage for the first time. The former BAMMA and Cage Warriors veteran, known for his explosive striking style, has six knockout victories to his name during his career. Tickets are on sale now, and can be purchased from TheTicketFactory.com and Bellator.com, as well as the Resorts World Arena box office.